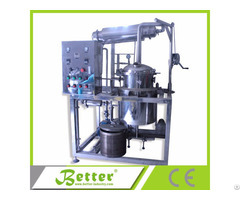 Qualified as ‘High-Tech Enterprise’, Shanghai Better Industry Co., Ltd has been developing steadily and in fast pace.Through more than ten years of innovation, Better not only has possessed extraction machines such as essential oil distiller,supercritical CO2 extraction machine,solvent extraction machine, as core products,but also provide drying machines. 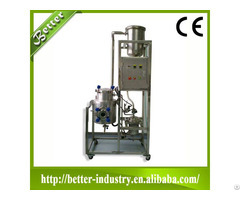 It means that Better has already become a leading global supplier of biological extraction machinery. 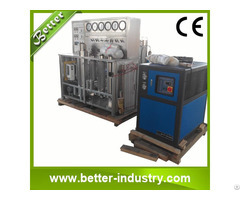 Rich experience,high efficiency and technical innovation abilities, all these guarantee us to provide customer fine products and satisfying technical services. Thus we have gained little by little good words from customers and market competition has been strengthen more and more.“Better” owns seven departments, Marketing Department, Manufacturing Department, Technology Department, Engineering Department,Quality Management Department, Financial Department, Rear-service and Security Department. Under Manufacturing Department there are Mechanical Processing Division and Electricity Assembly Division.Better is in the top speed develop growth period.All staffs of Better are working hard and learning hard,give full expression of their intelligence,innovations,solidarity,passion. Better comes from the past ambitiously,and hold present time confidently.We will permanently insist on belief of “Customer For-most,Win-Win Cooperation” to become a famous brand in domestic & international market and your first choice in extraction projects with our efforts,positive attitude and enthusiasm.Under the guidance of the spirit “God helps those who help themselves”,Better will create a better future with the sincerity and sage.